Annual events such as National Crime Prevention Month and National Night Out have long served as valuable reminders that crime is ever-present, and apartment communities are certainly not immune. With the main drivers of crime in multifamily being drugs, firearms and gangs, property managers must be aware of the problem signs and put a sustainable crime prevention plan into action. Here are 5 crime prevention tips for multifamily property managers that can help boost retention and promote resident safety. Property staff including leasing agents and maintenance personnel should carry a picture ID badge at all times to ensure that they are easily identifiable by residents. Additionally, all maintenance personnel should wear the same uniform. In many cases, criminals who use tools and equipment to enter residences are mistaken for maintenance staff if attire isn’t standardized. Without an effective community security policy in place, resident retention and resulting damages can become costly. 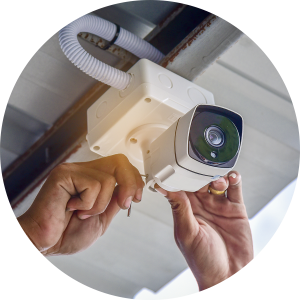 Security tools such as CCTV monitoring, restricted entry systems, and electronic key control systems can make a world of difference. If you already have security systems in place, make sure they are in working order and provide community-wide coverage. Additionally, give perpetrators nowhere to hide by ensuring public walkways and parking areas are well lit. If individuals with an extensive criminal record are denied access to your community from the get-go, the likelihood of criminal activity occurring in the future is significantly reduced. Screening residents and employees can also provide current and future residents with peace of mind knowing they live in a community that values safety. Your community can be a powerful ally against crime if enabled. Remind residents to keep doors and windows locked and to report any suspicious activity. Establishing a designated email address or telephone number for community crime tips can help in streamlining the process. A partnership with your local police department can be mutually beneficial. As a property manager, you know where the crime is and what problems exist in your community. Using a your insider knowledge, local law enforcement officers can quickly establish a presence and remove wanted individuals from the community. To maintain a crime-free community, multifamily crime prevention programs and local training seminars are also available. 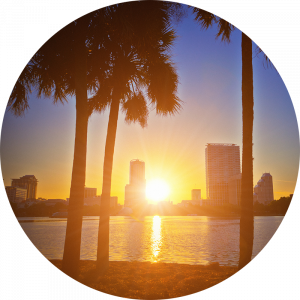 With spring nearly upon us, we’re looking forward to another fantastic season of multifamily trade shows! Visit our booth at one of the shows below for a demo, and see firsthand how our systems uniquely manage keys and prevent premises liability. We hope to see you there! 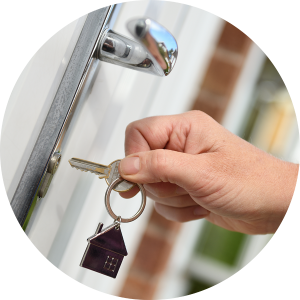 Protecting and monitoring the use of keys is one of the most important parts of keeping residents safe — and also one of the aspects most likely to be targeted for negligence. Not only do the keys need to be safeguarded, their use needs to be tracked and documented. 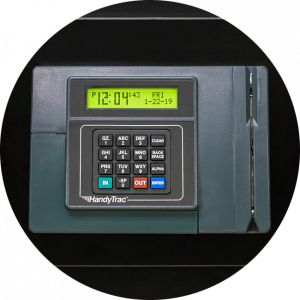 HandyTrac’s computerized key management system maintains a real-time log of all key activity and provides property owners with customized reports, accessible from any internet-enabled device. Recently implemented by IoT (Internet of Things) technologies, multi-step authentication protects highly sensitive information and equipment through the use of layered identification processes. With HandyTrac, users are required to swipe a badge and type in a code — or better yet, provide biometric identification before keys are made accessible. Taking property security one step further, electronic key management systems from HandyTrac anonymize property keys, and utilize a state of the art bar-coded system. 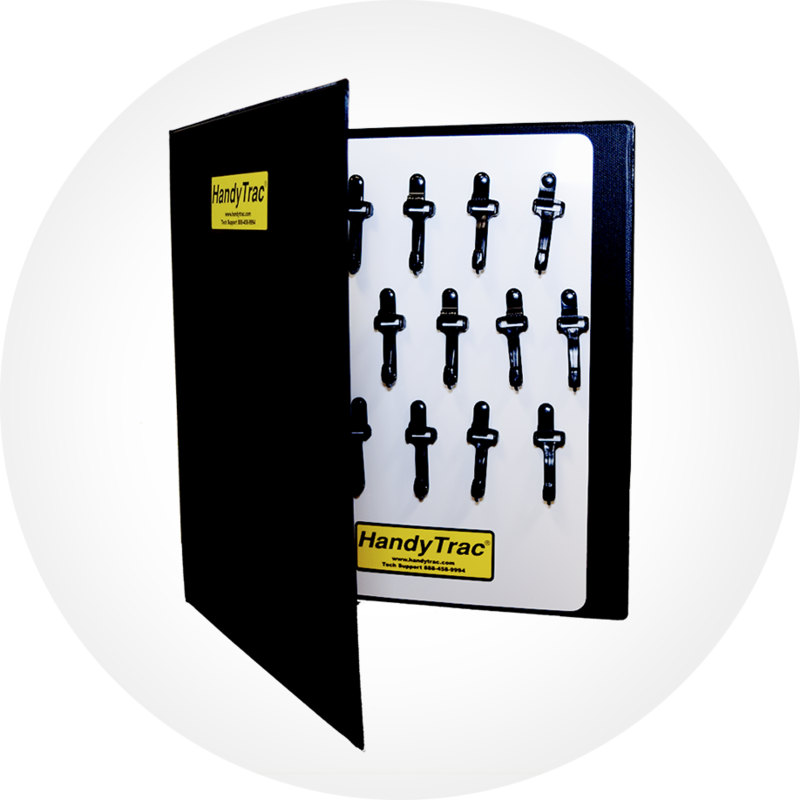 HandyTrac systems also prevent users from memorizing where specific keys are hung using “random rotation”. This automated process hangs keys in random locations in the box, making it impossible for users to identify specific keys. With three secure key management systems to choose from, HandyTrac is an affordable and sensible solution for any community or facility. For more information about our systems, contact us today. Over the past 20 years, we’ve discovered that property managers across the country are inheriting a variety of roles to satisfy their ever-growing list of property needs. With this in mind, we’ve teamed up with property management software companies, Yardi and ResMan to provide seamless work order delivery and simplified key management for property managers through consolidated processes. Upon request, Yardi and ResMan users with a HandyTrac Touch system now have the ability to customize their experience through the use of a unique and secure work order system. Features like service order and staff data importation will allow managers to quickly review staff data and execute assigned work orders directly via the Touch datalog. We believe that when provided with the right tools, property managers can do it all. By leveraging this partnership, managers will benefit from efficiency improvements, and ultimately, get the most out of their management products. Since its founding in 1984, Yardi has set the standard for real estate software solutions with a combination of responsiveness and technical innovation. Understanding the unique needs of the industry’s various segments, Yardi uses technical expertise and vision to translate that understanding into powerful solutions that meet and exceed those needs. ResMan provides property management software for multifamily property managers, owners, and operators. ResMan makes accounting, financials, resident engagement, and integration easy whether you’re onsite, in the field, or at the corporate office. HandyTrac Systems, a leading electronic key control company for multifamily, military and student housing, is pleased to announce its participation in the National Multifamily Housing Council’s OPTECH Trade Show. This three-day event will be held November 14th-16th at the Rosen Shingle Creek Resort in Orlando, Florida. “Our annual attendance at the National Multifamily Housing Council’s Conference and Trade Show underscores our dedication to helping multifamily property owners and managers promote resident safety and prevent premises liability,” said John Lie-Nielsen, Founder and CEO of HandyTrac. 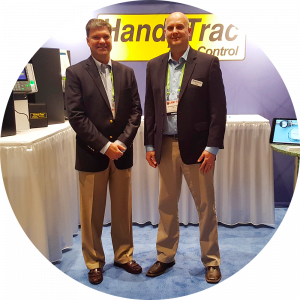 Throughout the show, HandyTrac’s knowledgeable team of professionals will be offering comprehensive key control system demos at booth #428. Additionally, HandyTrac will be showcasing their latest electronic key control system, the Touch. 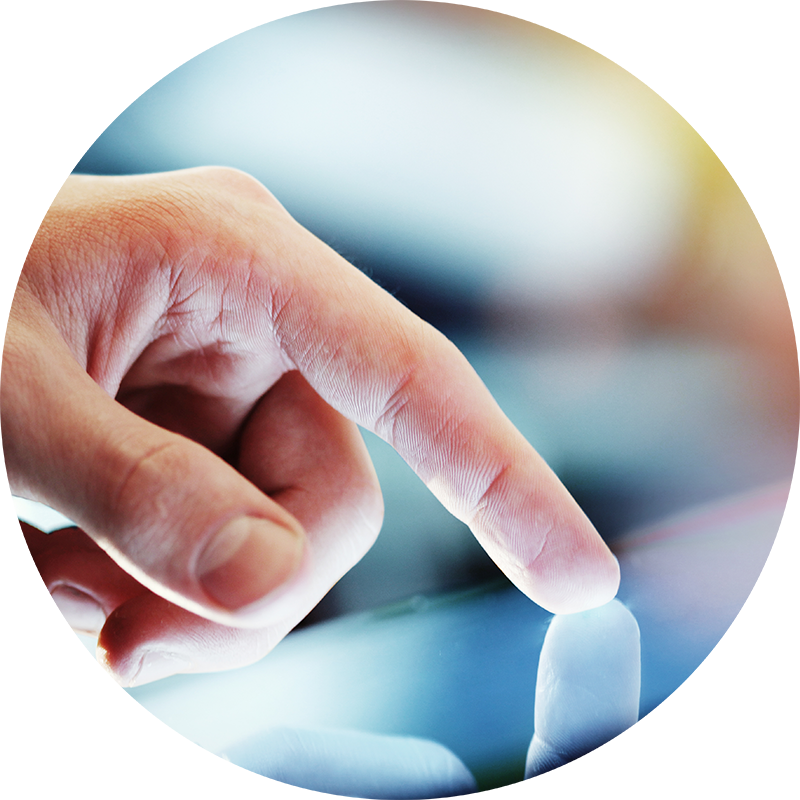 The Touch combines biometric technology and a large touch screen display to offer the highest level of security, reporting, and flexibility. NMHC OPTECH 2018 brings together the multifamily industry’s top solution providers and over 150 insightful speakers together in one place. To learn more about this can’t miss event, click here. For over 20 years HandyTrac has been the low-cost leader in multifamily and military housing key control; managing keys for more than 3 million apartment homes throughout the country. HandyTrac’s cloud based systems offer instant access to archived reporting and provide the ability to manage communities with a single login through a computer or smartphone. For more information, visit booth #428 at the NMHC OPTECH Trade Show, or contact us today. Offering modern amenities and updated units can be a great way to attract new residents; however, without an effective community security policy in place, resident retention can become a costly issue. The easiest way for perpetrators to access your community is by simply walking in. To prevent this, install entry systems at your main entrances that require a compatible RFID keycard or security code to gain access. If your community has outdoor entrances to units, consider fencing the property and installing gated entry systems. Property managers are not only responsible for the safety of their residents and property, they are also responsible for their residents’ personal information. To prevent cybersecurity threats in your community, store all personal information (e.g. driver’s license and social security numbers, bank information) on secured, encrypted servers. If physical copies are necessary, be sure to store all sensitive information safely under lock and key. A vital security tool often overlooked by property managers is closed-circuit television monitoring, also known as CCTV. When implemented correctly, a CCTV monitoring system maintains a full video record of the goings-on in a community. Remember, the fewer “dead zones” – areas with no video coverage – the better. Criminals are known to lurk in dark corners. Give them nowhere to hide by ensuring that your community’s public walkways and parking lots are well lit. A community’s building and unit keys present the highest risk to resident safety if not properly monitored and controlled. If keys go missing and land in the wrong hands, your community could be held liable for the resulting damages. 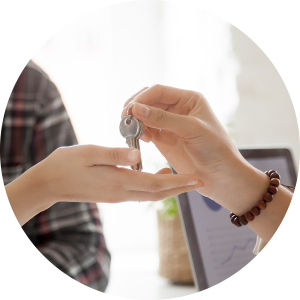 With an electronic key control system from HandyTrac, property managers can improve key security through the implementation of multi-step verification, and view real-time reports to quickly identify unusual key activity. With three secure key control systems to choose from, HandyTrac is an affordable and sensible key management solution for any community or facility.